Link-Building is a crucial aspect of your website marketing if you are trying to rank on the first page in your industry, and without a strategy, it is unlikely that Google will index your website let alone rank you well. However, bad link-building is dangerous for your brand’s website as not trying to get ranked. Google’s algorithms are pretty smart, in fact, they are very smart. They can tell between a good link and a bad link, and if it detects a bad link, your website’s rank will suffer. 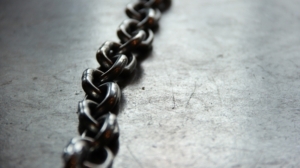 The trouble is, so many business owners believe the more links you have, the better, but one bad link can undo all your high-quality links. So, when you are link building, what are the ten mistakes you might be making? The problem with most reciprocal linking is that brands do it without thinking about the user experience or whether links are suitable or not. Reciprocal linking should only be done when there is relevance to the original content. For instance, adding a link to a blog post which corresponds to the site’s activities. Some website will receive guest posts as a way of generating content. These opportunities are great for your business, but they need to be relevant to your brand. Don’t write an accounting guest post if you are a sales training consultancy. This isn’t good practice. There are plenty of guest posting websites where you can offer content, for example, Tweak Your Biz and Hubpages. Another issue is that when you get an opportunity to guest post on another website, you link and keyword stuff your anchor text. This is bad practice for any linking strategy. All links should be developed naturally. Web directories can help you build several high-profile links fast, but that doesn’t mean you should sign up to every web directory you can find. Some just won’t be valuable to your brand. For instance, why sign up an accountancy firm to a wedding directory? There is no relevance there. Instead, carefully consider the current image of the directory. Is it suitable for your website and is your business going to be relevant to their audience? While their power in link-building has diminished in recent years, there is still some importance in building links with the help of forum posts. The trouble is that some SEO cowboys and those not trained to create backlinks will just write any comment and then link to your content. Is this relevant? It might be in some cases, but generally speaking, it's going to do more damage than good. Instead, you need to start writing quality forum posts that offer value and interest to the conversation, rather than just a quick response to get the opportunity to post a backlink. Similar to forum posts, some think that literally writing “good article, thanks” with a link is going to help them. It isn’t. Google likes to see that you have tried to contribute to a conversation and responded to the comments made in the original article. Think about writing more than one point in any given forum post and end on a question. The more conversational you are – the better your results. This is the biggest no of all in terms of SEO. While some people will try to convince you otherwise, when you buy links you lose complete control of your SEO. Do you know where these links will come from, do you know you can trust the seller? The answer is no to both questions. You are better investing your time and money in creating high-quality content on a regular basis that will help you generate organic backlinks. Remember, if Google suspects you have bought links, then you can have your website delisted from search results altogether. Another failure is the time which people spend over broken backlinks on their website. Broken backlinks might happen because you’ve changed pages on your website or a mistake was made when entering the link in the first place. Don’t ignore these. Redirect broken links to the best possible page on the website. Or go to the website where the link comes from and remove it altogether. How Bad Is Your Link-Building Strategy? Don’t neglect your link building strategy and don’t do something that will end your relationship with Google. They are an important partner in your business’ success and should be treated with respect – just like you would a client. How is your link building strategy going? Have you built numerous links to your website? Thanks for your comment. There are two possible reasons for this. Firstly, website owners might not feel your comments are aligned to their main message or the conversation. When this does happen, it is normally a case of website owners not being open minded about the comments they accept. A second issue is that some blog owners like to have comments with positive feedback as well. While I don’t think this is always necessary to publish, not everyone is going to agree with what I say, some owners will want to see a ‘great article’ or ‘nice read’ or ‘thanks’.